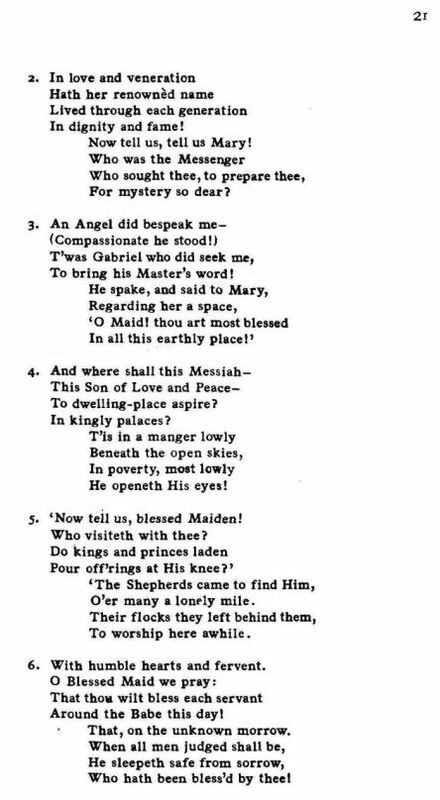 Source: Richard Runciman Terry, Two Hundred Folk Carols (London: Burns Oates & Washbourne Limited, 1933), Carol #77, pp. 20-21. 1. 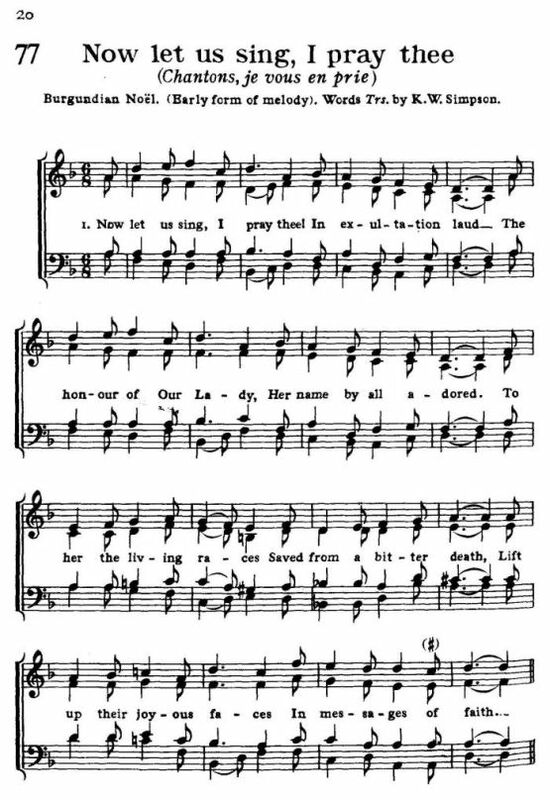 Now let us sing, I pray thee! Her name by all adored. Now tell us, tell us Mary! To bring his Master's word! 5. 'Now tell us, blessed Maiden! O'er many a lonely mile. 6. With humble hearts and fervent. Around the Babe this day! That, on the unknown morrow. Who hath been bless'd by thee! Sheet Music from Richard Runciman Terry, Two Hundred Folk Carols (London: Burns Oates & Washbourne Limited, 1933), Carol #77, pp. 20-21.